Whether you're a golfer or just a spectator, the laughs will be bountiful. And, you won't want to miss the charity auction and bidding for featured gifts such as sports memorabilia, baskets of 'joy' or a new flat screen TV. Or, treat you're spouse to a night on the town with a gift card to fine New York City Restaurants. 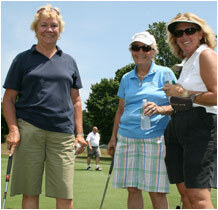 The 6th Annual Charity Golf Outing marked a new high in donations and capped a spectacular year for the organization. The dinner was well attended with generous gifts from more than 150 attendees. 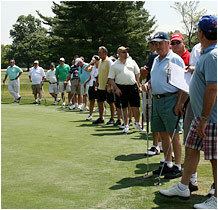 Relive the wonderful memories of the Outing and Auction by clicking on the following button.